IPad does not turn on. What to do? 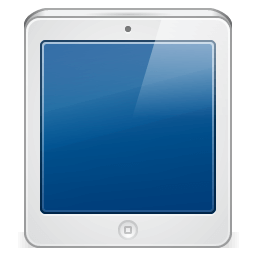 Greetings to you, dear users and undoubtedly, the happy owners of iPad - Apple tablet computer based on the iOS operating system (at the time of this writing, the extreme version is the eighth). If you are a happy owner of any gadget from Apple, for example, an iPad (2,3, Mini, Air), then most likely you have become accustomed to its stable and reliable work, and for you the fact that the gadget does not turn on turns you into a dead end. Those people who have never used tablet computers other than iPads (2,3, Mini, Air) probably don’t knowthat during the operation of the device may experience any difficulties or problems, for example, the device does not turn on. In today's article we will analyze the situation when the iPad does not turn on (2,3, Mini, Air). Those. The device, when you press the “turn on” button, does not react either, and even an apple on a glass, black screen does not light up. Faced with this situation? Do not rush to panic and look for a screwdriver to disassemble your iPad (2,3, Mini, Air), I, in general, categorically do not advise you to disassemble the tablet computer yourself if problems arise, you cannot correct the situation, but you can do even worse. Moreover, if the iPad (2,3, Mini, Air) does not turn on, then this problem can be solved in ninety-nine percent of cases, literally, in five minutes. Below I will tell you what steps you need to take. Of course, I suppose that now there will be many dissatisfied exclamations, but believe me - the action described below is the first thing to be done in a situation when your iPad tablet computer (2,3, Mini, Air) cannot be turned on. Maybe he just ran out of battery. If you have not tried this method to “reanimate” your device, then do it right now - connect your tablet computer to a power outlet. If this method does not help and the device does not turn on, go to heavier artillery.. The next step to be taken to reanimate your Apple device (in fact, this way you can bring back to life not only an iPad tablet computer (2,3, Mini, Air), but also an iPhone smartphone) - press and hold two buttons at the same time: the on / off button of the device and the “Home” button (the round button at the bottom of the inner side of the Apple device). Hold and hold these two buttons simultaneously for at least ten seconds. If after this time the apple does not burn, then go on to the next way to get the iPad to work. If the apple caught fire, then everything is in order (the gadget turns on), and your iPad or iPhone will work in a certain amount of time (a few seconds). Further, in the program, a window will appear in which you will be offered to restore the iOS operating system. Attention: restoring the operating system on your device, you act at your own risk, the author of this material is not responsible for your actions. If none of the suggested methods helped you, then only one thing remains - to take your device to a service center. That's all for today, I hope now your iPad (2,3, Mini, Air) or iPhone turns on without problems. And if the apple lights up, then itunes requests that it confirm that the computer is trusted, and how to confirm, the ipad does not turn on, the apple lights up, then it goes dead, then it lights up again and so on in a circle! Thank you very much for such a useful article! The 2 method has helped reanimate the iPad air 2! Thank! Your advice helped a lot, especially 2 advice, I wanted to carry it to the service. Thank you very much! 2 way helped. Have you tried all the ways? If yes, then you should take it to a service center. thank! madly grateful, I turned on the 2 method. Thank you very much! I almost lost my mind, for no reason, I turned off before my eyes and did not react. When charging the battery 100%! Everything worked !! Thank you very much. The second method helped. Big thanks !!!! The second method reanimated my ipad !!! Tomorrow I thought to carry it to the service. I have an ipad4, which is already 4 of the year, stopped responding to the charger. Well, it does not charge, and that's it. If you have the same problem, do not rush to carry it to the service center. Connect it to the charge and leave for a day, it is highly likely that it will turn on itself. When 1 happened this time, I plugged it in to the socket 2, the first time it did not help, the second time it turned on. A year later, the same thing happened - he joined in a day. Try not to use the ipad with the charge turned on - the lighting shakes up! Thank you very much! Very much helped out the 3 th method !!! Wildly freaked out, but the second method helped (the charge was complete) !!! But keep the buttons pressed for longer. Thank you very much! 2 way helped my favorite gadget! Useful article!